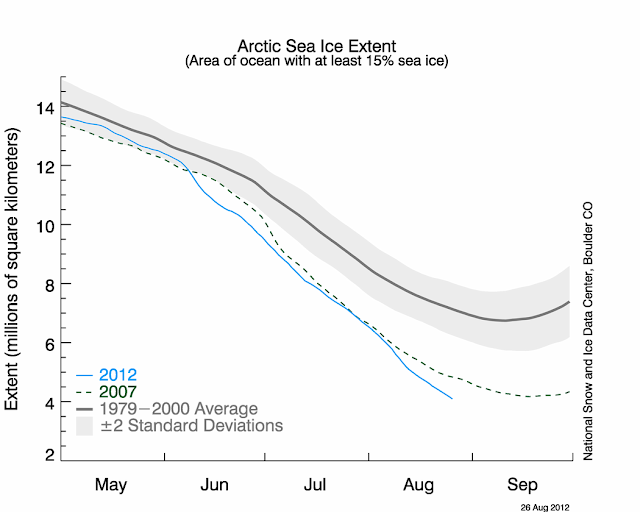 The National Snow and Ice Data Center (NSIDC) reports that Arctic sea ice has broken the previously lowest extent on record, which was in 2007. NSIDC scientist Walt Meier said, "By itself it's just a number, and occasionally records are going to get set. 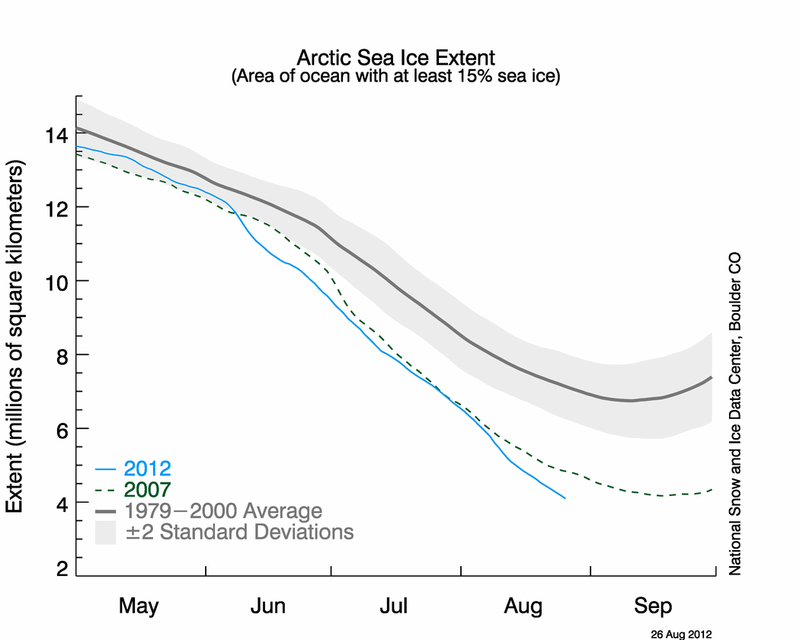 But in the context of what's happened in the last several years and throughout the satellite record, it's an indication that the Arctic sea ice cover is fundamentally changing." With two to three weeks left in the melt season, NSIDC scientists anticipate that the minimum ice extent could fall even lower.